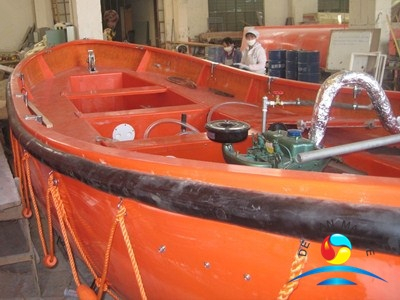 Diesel Engine Lifeboat is one of the most important life-saving equipment on a ship, which is used at the time of extreme emergencies for abandoning a ship. 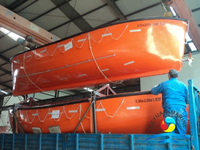 Actually, Marine Open Lifeboat is a smaller rigid vessel, secured on board into davits so that it can be launched over the side of the ship with least time and mechanical assistance possible for an early escape of the crew from the ship. 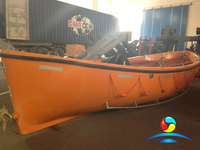 A Diesel Engine FRP Lifeboat must carry all the equipment described under SOLAS and LSA codes, which are passed for the survival at sea. 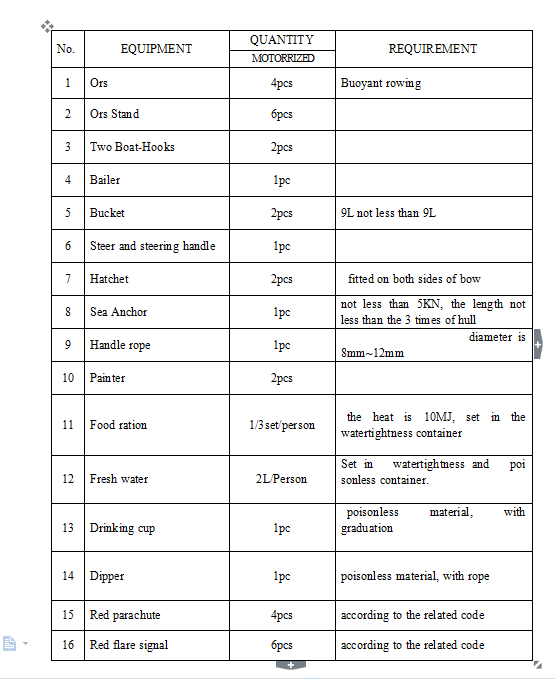 This includes rations, fresh water, first aid, compass, distress signalling equipment like rocket etc. 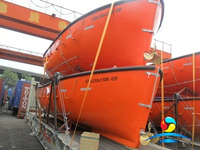 A ship must carry one rescue boat for the rescuing purpose, along with other lifeboats. 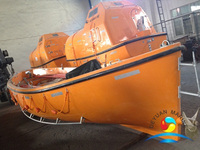 One of the lifeboats can be designated as a rescue boat, if more than two or more lifeboats are present on board a ship. 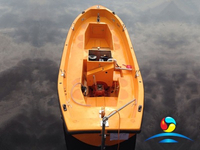 1)Power system:Will equip with a diesel engine,it can be started by electric or manual . 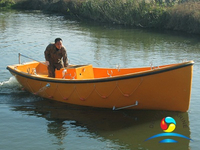 3)Steering system:It contains steer pillar, steer support, steer leaf and handle. 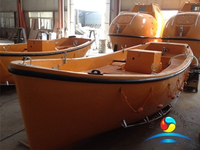 We supply all types of Marine SOLAS Lifeboat. For more detail information, kindly feel free to contact us via Email or Phone,we will handle your case quickly and quote for you .